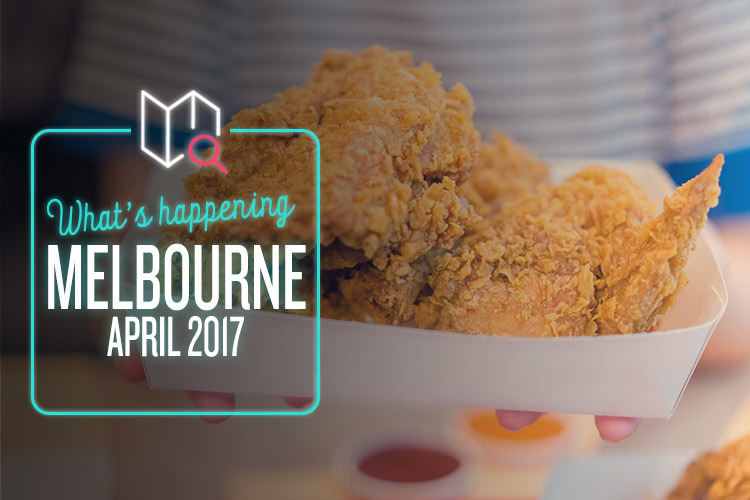 The month of Easter is here, but there’s much more going on in Melbourne than just ironic spring imagery and a bad chocolate hangover. Take this lot, for example. Ice cream is practically flawless, but there is one sure-fire way to improve it: stick the word “free” at the beginning. Ben & Jerry’s Free Cone Day has been on the go since 1979, and it’s exactly what it sounds like. Simply stroll along to your nearest Ben & Jerry’s Scoop Shop (there’s seven of ‘em dotted about Melbourne) and choose your free scoop of Phish Food, Cookie Dough or Cherry Garcia. It runs from noon to 8pm, so you’ll have plenty of time. The day also serves to raise awareness about climate change, so it’s all for a good cause. Y’know, as if free ice cream wasn’t a good enough cause on its own. Ahh, the age-old dilemma: theme park or music festival? Sometimes you simply can’t decide, so thank whatever god you’re down with for the fact that you no longer have to. Much like Free Cone Day, Dreamland Theme Park Music Festival is exactly what it sounds like. It combines thrilling rides, carnival games and four separate stages of pumping music, as well as a host of pop-up bars and food stalls. The music stages are the Carouse Main Stage, the Luna Palace Bounce Arena, the Silent Disco (always good), and the VIP RnB Rooftop. That should keep you busy! Time for a fun run with a difference! The Color Run takes place all over the world (hence the u-free spelling of the word – not our typo, we swear! ), and aims to bring people together through five kilometres of good laughs, crazy costumes, and perhaps the odd stitch or two. Melbourne’s Color Run Night is even more exciting, taking place after dark on a course divided into dazzling neon colour zones. You’ll also be sprinkled in glow-in-the-dark colour dust, and invited to the spectacular Finish Party once the run is complete. Music, bad dancing, good food. You know the drill. Give it a go!